If you are an Almond Joy fan, you are going to LOVE this. 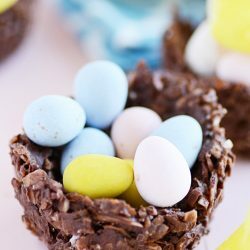 Because these sweet little Easter egg nests are made up of coconut, sliced almonds, and chocolate; and they taste just like an Almond Joy! Plus, these little coconutty cups are topped with cute, itty, bitty Easter eggs and a Peep right on top. 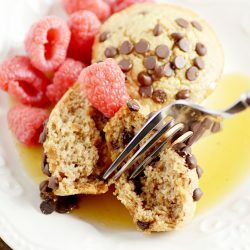 These are just so darling and so easy. All you’ll need is a muffin tin, paper liners, a few ingredients, and about 10 minutes! 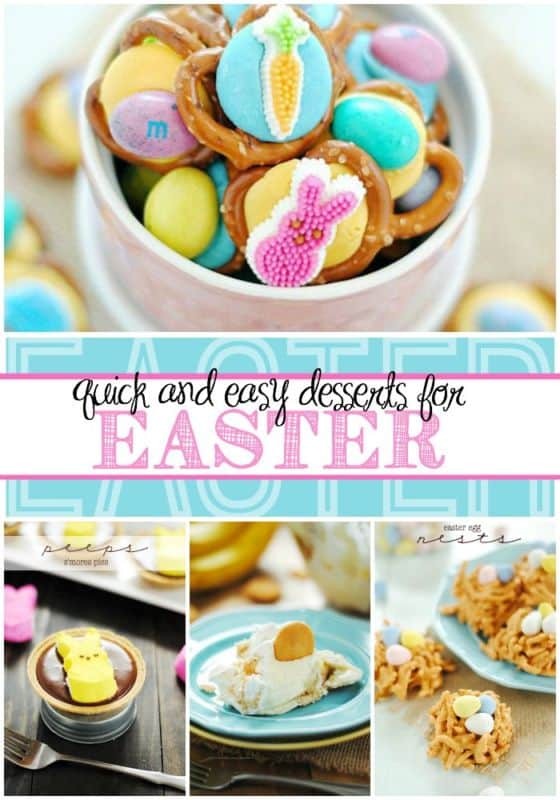 If you love Almond Joy candy bars, this cute Easter treat is for you!! Line a muffin tine with 8 paper liners. Set aside. Mix the almonds and coconut in a bowl. Melt the chocolat melting candy according to the directions on the packgage. 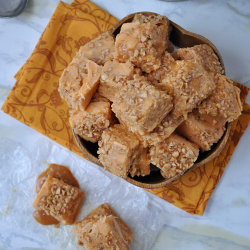 Once smooth and melted, pour it over the almonds and coconut. Stir to coat well. Scoop 1/4 cup of the mixture into each muffin tin liner. Gently press down in the center with the back of a rounded spoon to create the nest. Let cool until hardened (you can quickset in the fridge). 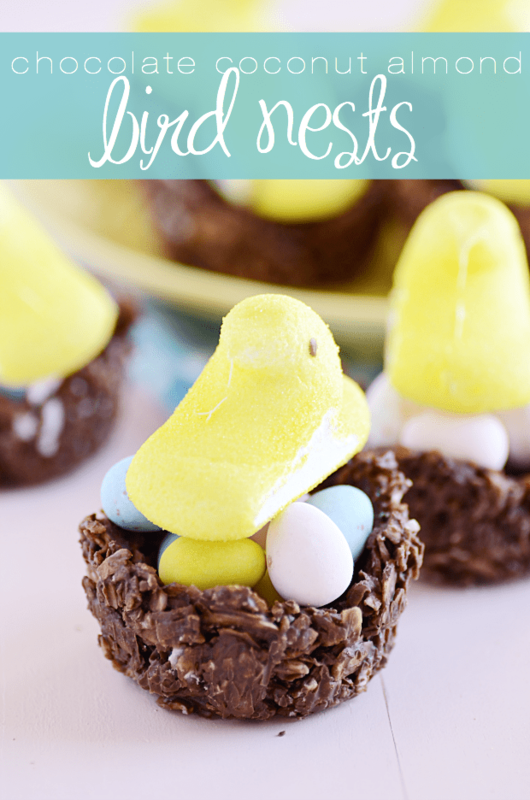 Remove each nest from the paper liner and fill with candy eggs and a Peep Chick. Initials Inc… because there’s only one me! 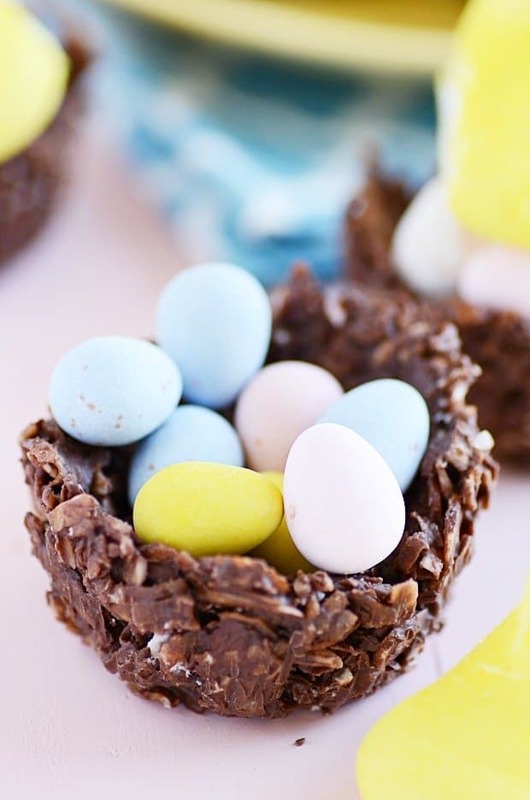 These nests are SO cute and they look crunchy and chocolatey and delicious! Ooh what a neat idea! Love this! These look so delicious, Ashton! I adore anything coconut as you know, and I know I wouldn’t be able to resist these! Great minds girlfriend, I just made some dark chocolate, almond butter filled coconut nests too! Such a cute idea, and I love chocolate and coconut together! Oh these look so stinkin cute!!! My kids would go nuts over these!